Welcome to Zen Den Yoga Studio – We specialize in providing onsite yoga classes at your place of business, home or at one of our beautiful San Clemente beaches. We bring yoga to you! Please contact Sarah for information about how we can serve you: 714 915 0634. Our classes are designed for small groups, semi-privates & private classes. We want to keep our student to instructor ratio small, so we can focus on you, the way yoga was intended. Traditionally asana (yoga postures) is the smaller scope of the broader definition of yoga. The poses are meant to cleanse the body deeply from the inside out and on a cellular & neurological level. Breathing is fundamental to our asana practice as it reduces stress levels, helps open arteries in the heart for efficient blood flow; and the heat (or rajas) created from the breathing exercises begins to burn the impurities & toxins (or mala) in the body. 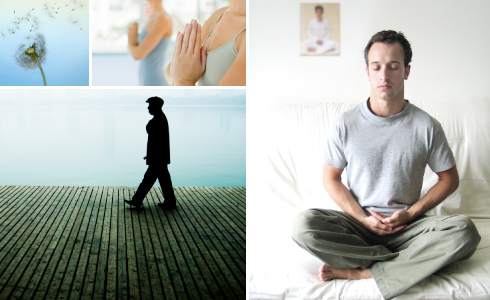 Another common & contemporary translation of yoga is: union of the breath, body, mind & spirit.